Hillier was again the quickest to Glen Helen, as he has been for most of the week, with Lintin 1.5s behind. Ryan Farquhar was only two tenths of a second adrift in third and his team-mate Johnston was almost exactly level with him. 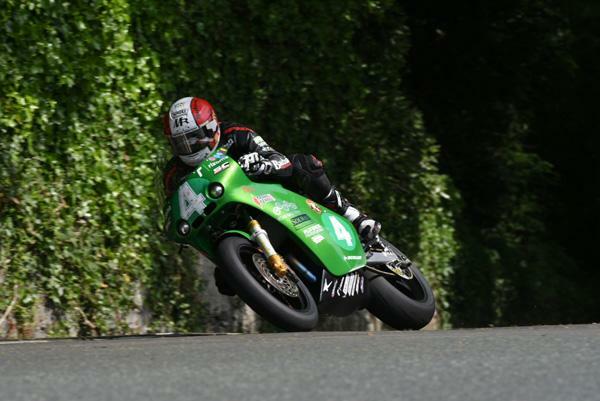 Dan Cooper and Michael Rutter were back in fifth and sixth respectively. One of the pre-race favourites, Jamie Hamilton, was outside the top ten though having been slow to leave the line. By Ramsey, it was all change as Lintin went into the lead by 1.7s with Farquhar relegating Hillier to third. The Lincolnshire rider maintained his lead to the Grandstand and with an opening lap speed of 119.078mph that gave him a 2.1s advantage over Farquhar with Johnston and Hillier 1.4s further back in third and fourth. Rutter and Cowton rounded out the top six but Farquhar's hopes of victory were dashed when he was given a 30s penalty for speeding in pit lane. Gary Johnson was out of luck too having retired at the pits. It was all change at Glen Helen though as Hamilton took the lead, the Northern Ireland rider not having pitted but the margin over Lintin was only three seconds. Hillier was only five seconds back with Johnston still well in touch in fourth. Michael Russell was up to fifth, another rider yet to pit, with Rutter still in sixth. Farquhar's penalty dropped him to ninth but he was soon out altogether at Cronk y Voddy. 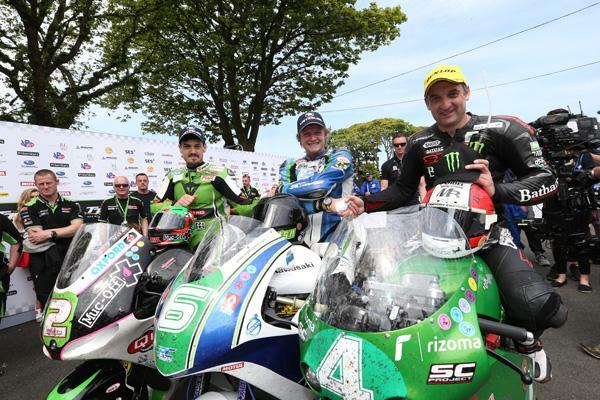 By Ramsey, Lintin was in the lead outright again, by four seconds from Hamilton, with Hillier only half a second behind. Johnston, Russell and Rutter were still occupying fourth to sixth. The RC Express Racing rider held the lead still as they started the final lap but Hillier had closed to within 3.9s as Johnston took over third. Hamilton dropped to fourth and made his pit stop as did sixth placed Russell, with Rutter's Paton still sandwiched between the pair. 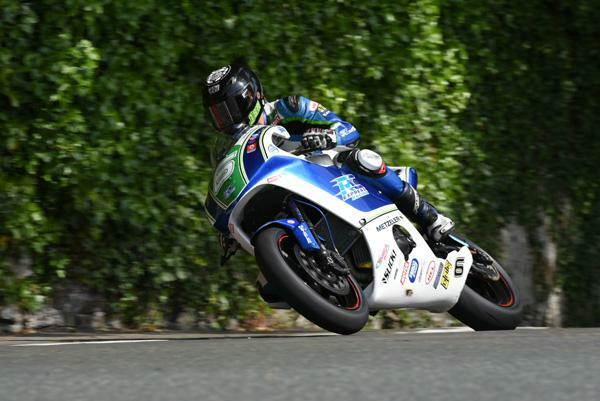 Hillier was nibbling away at Lintin's lead and got it down to three seconds at Ballaugh but Lintin responded on the run to Ramsey and his advantage was almost five seconds as they started the final climb up the Mountain. It was down again at the Bungalow, this time to 3.8s so it all came down to the final few miles. 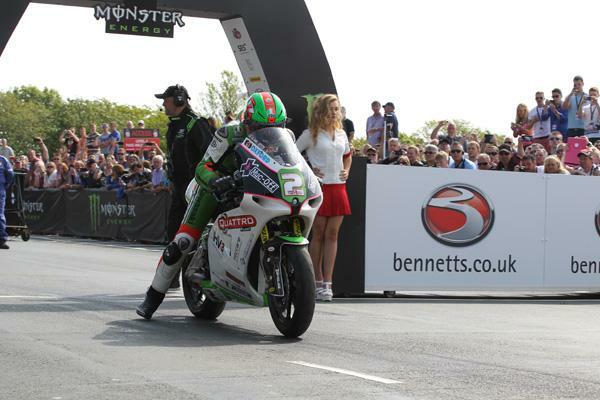 As they flashed across the line, Hillier claimed the lap record at 120.848mph but Lintin's speed was almost identical at 120.845mph and he took his first TT victory by 3.8s. Rutter took a brilliant third on the Paton with Cowton a good fourth whilst the battle for fifth went all the way to the end, eventually going the way of Hamilton over Cooper. Russell took a good seventh with American Mark Miller having a great ride into eighth just ahead of Connor Behan and Danny Webb. Newcomer Derek McGee had an excellent finish in 11th. Hudson Kennaugh was reported off at Braddan Oaks but was not injured.